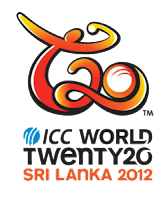 4th T20 Cricket World Cup 2012 will start on 18th September 2012 in Sri Lanka whose first match will be played between host Sri Lanka and Zimbabwe. Pakistan is in Group D with New Zealand and Bangladesh which is not a easy group because both NZ and Bangladesh are good teams. Following is schedule of Pakistan's matches in T20 World Cup 2012.
two teams from each group will go to next round.